The X7 DT v6 is the gem in Aorus’ glittering crown of gaming laptops. It boasts bleeding edge hardware and a few unique features, all packed into a sleek aluminium wing design. That makes it incredibly desirable, but does it justify its equally impressive £3000 price tag? We’ll let you know in our review. The Aorus X7 DT v6 is the ultimate gaming laptop on the market at the end of 2016 — and with the release of Nvidia’s 1000-series graphics cards, it’s the perfect time to get one. If you are looking for the very best, the X7 DT v6 won’t disappoint. Put simply, the Aorus X7 DT v6 is pretty much the best-equipped gaming laptop that money can buy. The GTX 1080 graphics card is the fastest available, bar none, and the overclockable Core i7 6820HK processor is top-notch too. There are no compromises elsewhere either, with up to 32GB of DDR4 RAM and a Samsung PCI-e SSD. 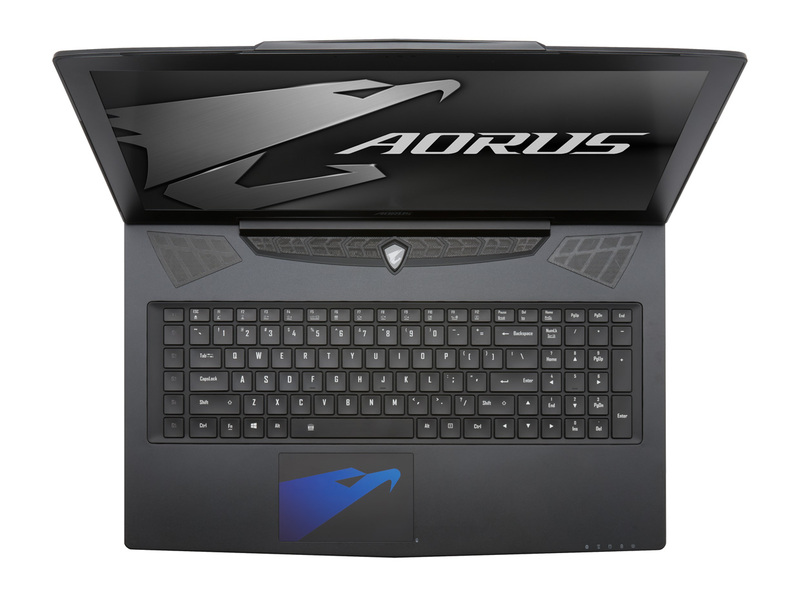 The Aorus X7 v6 DT boasts the same trademark ‘aluminium wing’ design as its predecessors. The laptop’s expansive body stretches nearly 43 centimetres across and 31 centimetres deep, but narrows to just 2.3 centimetres thick: razor blade proportions. The laptop will dominate a desk, and require a sizeable backpack for transportation too. Open it up, and you’ll be greeted by a sharp 1440p display. That’s not quite Retina level, but it’s a noticeable upgrade from the 1080p resolution that’s commonly found on 17-inch gaming laptops. It takes a lot of horsepower to drive anything more than a 1080p screen when playing games, but as we’ll see later the X7 DT v6 doesn’t disappoint. Best of all, this is one of the few laptop displays that runs at anything other than 60Hz. Instead, the X7 DT v6’s screen hums at a frantic 120Hz, ensuring a much more fluid feel when the laptop is running at high frame rates. It also supports G-Sync, which eliminates screen tearing without so much of the input lag that plagues naïve v-sync. 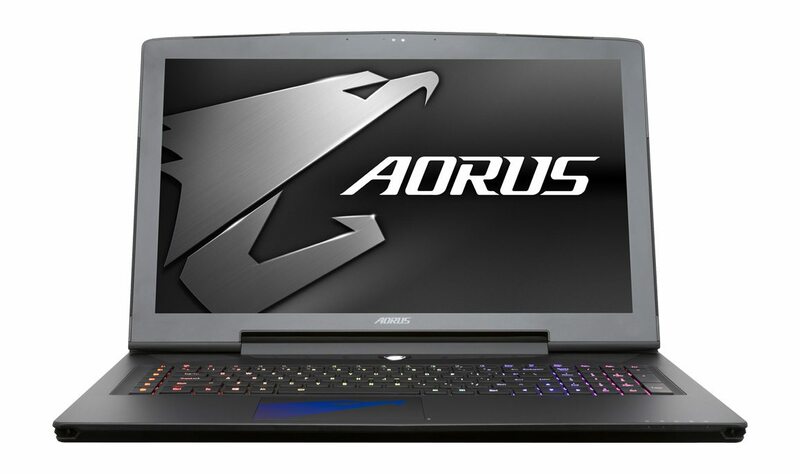 This combination — a 17-inch display, running at 2560 x 1440, at 120Hz, with G-Sync — is unique to the Aorus X7 DT v6, and helps justify its premium price tag. Below the screen, you’ll find some artfully cut speaker grilles and a diamond-shaped power button upon which the Aorus falcon head logo has been applied. Continue moving your retinas downwards, and the keyboard will come into view. Out of the box, this will be sweeping through a rainbow wave that shows off the keyboard’s RGB capabilities. This kind of backlighting has become commonplace on mechanical keyboards, mice, case fans and more, but it’s still a rare upgrade for a laptop keyboard. The keyboard’s layout is quite logical, with a single column of macro keys on the left hand side, a number pad on the right and cursor keys tucked in the rectangular grid. Almost all keys are their correct size, making adjusting to the keyboard easy, although the top row is half height. There’s minimal travel here, as you’d expect from a gaming laptop this thin. Despite this, the keyboard is still one of the better ones we’ve tested. You’ll probably be using a mouse for gaming, but there’s also a nice glass trackpad under the keyboard. This is also printed with the Aorus falcon head logo in blue, perceptible only from some angles. The X7 V6 DT is well equipped when it comes to ports. The back of the laptop provides the power input and a single USB 3.0 port, while the right side sports another USB 3.0 port, a USB 3.1 Type-C port, an HDMI 2.0 port and a mini Display Port. That gives you a lot of different ways to connect a monitor. There’s also an SD card slot here, perfect for displaced MacBook Pro fans. The left side of the laptop provides a gigabit ethernet port, another USB 3.0 port (for three in total) and your standard two 3.5mm jacks for headphones and microphones. 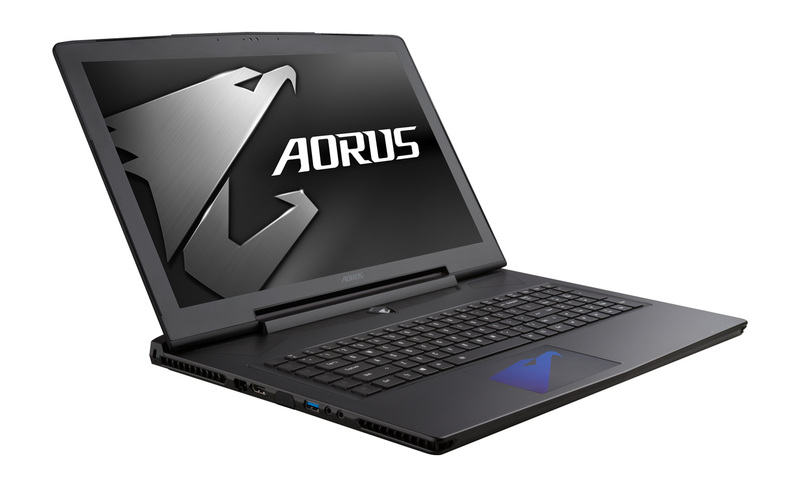 The Aorus X7 DT v6 certainly feels like an expensive laptop, but does it perform like one? Let’s find out, as we start our gaming and synthetic benchmarks. First up are the synthetic benchmarks, which give us a good measuring stick against other gaming PCs and laptops we’ve reviewed recently — and your own PC, if you’re thinking about upgrading! We’ll be looking particularly closely at how the Aorus X7 DT v6 matches up against the Gigabyte P35X and P37X v6, which use lesser GTX 1070 graphics cards. Other names you’ll expect at the top of the pack are the few gaming desktops we’ve looked at — the Stormforce Inferno and 442, the Acer G6 and even the 1080-toting XSR rig. Let’s get started. Our first test is 3DMark, a fairly effective analogue of a gaming workload. There are two tests we’re interested in here, the high-end Fire Strike and its 4K upgrade, Fire Strike Ultra. As expected, the Aorus X7 DT v6 puts up the best numbers we’ve ever seen in both tests. It broaches the 16K barrier in the normal test, and barely misses the 5K mark in the Ultra version. The combination of the GTX 1080 GPU and a high-end Core i7 laptop processor is a potent one indeed. We also examined performance in the new DX12 Time Spy test. The Aorus X7 DT v6 pulled ahead here too, with a score of 6486. By comparison, the Aorus X5 v6 (with a GTX 1070) got 5338, the P37X got a score of 4916, and the P35X got a score of 4812. All in all, a commanding lead over a trio of capable laptops. Cinebench examines OpenGL (GPU) and CPU performance in two separate tests. The Aorus X7 DT v6 only does moderately well here, with results of 135 fps and 831 cb. OpenGL performance has become less relevant over the recent years, so this benchmark is less significant than some of its peers — we’ll probably retire it for 2017. GeekBench is up next, which is largely a test of processor and memory performance which uses a bunch of common computation tasks. The X7 scores over 15,000 points here, comfortably ahead of all but two of its competitors, both of which have desktop-class processors. We’re using version 3.1.3 of this test. GeekBench 4.0 has just been released, and we’ll collect results in the new test and start using them in reviews from 2017. The X7 DT v6 recorded a score of 15813 in the multi-core test and 4691 in the single-core test, although the compute OpenCL test failed to run successfully. In comparison, the similarly equipped Aorus X5 v6 scored 14234 in the multi-core test and 4913 in the single-core test — there’s not much in it. CrystalDiskMark tests disk speed performance. The Aorus X7 DT v6 comes with a Samsung 950 Pro NVMe (PCI-e) drive, allowing it to hit speeds of 1650 MB/s while reading and 1820 MB/s while writing — pretty impressive stuff! This is an awesome result, and you shouldn’t face any issues with long loading times for your computer, apps or games. Next up are true in-game performance benchmarks, offering a look at how this laptop handles a selection of recent titles including shooters, MMOs and strategy titles. We’ve added a new test: the popular strategy title Sid Meier’s Civilization VI! We’ve chosen challenging settings too: Ultra quality on both sliders and 8X MSAA. Graphics test results at both 1080p and 1440p will be recorded, and we’ll also perform the CPU test, which measures how quickly the game can run through five turns in a late-game test scenario with multiple AI civilizations. The Aorus X7 v6 DT shows strong results in the graphics test that are almost identical to our GTX 1080-equipped XSR test rig. It’s a close fight in the CPU test too, with the laptop’s higher grade Core i7 6820HK processor nearly proving the equal of our overclocked i5 6600K. Our first game test is Tom Clancy’s The Division, a cover shooter MMO set in the frozen wastes of post-viral-outbreak NYC. The Aorus X7 DT v6 impresses here, recording a score just a few points behind the XSR rig. 99 fps means that we can make good use of the machine’s 120Hz screen, or we could go up to 1440p resolution and still have reasonable frame rates. Bioshock Infinite represents the easiest workload for our test machines, but it’s still important given just how many games of its era use the same Unreal Engine. The Aorus X7 DT v6 unsurprisingly thrashes the game, hitting over 200 fps. Metro Last Light is a much harder workload… but the Aorus X7 DT seems unfazed. It records a strong score of 124 frames per second, ensuring we can make full use of the high refresh rate display. We could also kick up the resolution to the native 1440p, and still easily achieve a stable 60 fps. Company of Heroes 2 has one of the most difficult benchmarks we use, offering a kind of ‘worst case scenario’ rather than something more typical of either the singleplayer campaign or multiplayer. 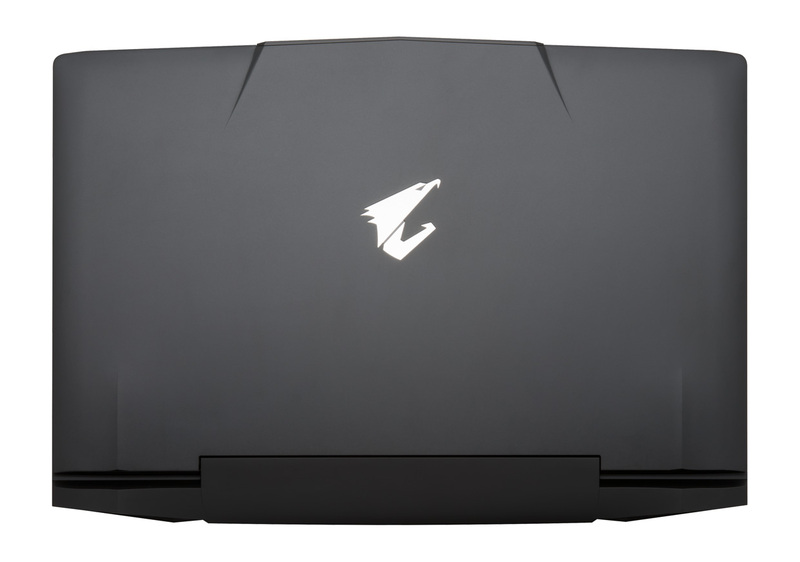 The Aorus X7 DT outdoes the XSR rig and every laptop we’ve tested, with a result of 81 fps. That speaks to the strength of the single-GPU solution here, as well as the top-tier Core i7-6820HK processor; you won’t be having any issues here. We conclude with a look at performance in a large-scale RTS, Total War: Rome 2. This is a GPU-bound title, and thus we can expect excellent performance. The X7 DT doesn’t disappoint, with the highest score we’ve ever recorded: 146 fps, 6 fps higher than the StormForce Inferno desktop and 26 fps higher than the XSR rig. Not bad! Overall then, strong results across the board. Most games are GPU-limited these days, and for these games the GTX 1080 ensures awesome performance. CPU-limited games are rarer, but having the best laptop-grade silicon means pretty good results here too. To get to grips with the Aorus X7 DT v6, we used it for a period of about two weeks just before the Christmas holidays. While the Aorus X7 DT is running, you’ll definitely notice that the fans start to spin up. In a hot room, they may hit 50 decibels — not ideal. Even when idling on the desktop, this laptop will often be audible. However, given the thermal and dimensional constraints, this is an acceptable trade-off — I’ve yet to see a slim gaming laptop that is significantly quieter under load. Another thing you’ll notice is the laptop’s size, which make it difficult to use on public transport or small desks. Even 17-inch laptop bags may not be large enough to accommodate this titan. However, once you have found a bag that it’ll fit inside, it doesn’t weigh as much as you might expect, and its minimal thickness ensures there’s plenty of space left over for mice, headsets and other necessary accessories. Both of these concerns are, in our mind at least, intrinsic to the size and power of the X7 DT, and aren’t likely to be solved by Aorus or their competitors any time soon. If you want strong performance in a thin chassis, then you’re going to end up with a wide and loud laptop. In every game we tested, the X7 DT v6 had a field day. Thanks to that GTX 1080 GPU and Core i7 CPU, this laptop should be capable of running almost every game on the market at 1080p and 100+ fps, or 1440p and 60+ fps. Older titles, like Counter-Strike: Global Offensive, are able to max out the screen’s capabilities at 120+ fps at 1440p — awesome. Speaking of the screen, it remains one of the highlights of this laptop. 2560 x 1440 makes for crisp text without removing the possibility for 100% scaling in Windows, and sites with high-DPI assets look outstanding. The high refresh rate is also nice even outside of games, combining with the extremely rapid SSD to make mouse movements, file operations and app launches fast and fluid. You can also connect a number of monitors and other peripherals easily, thanks to the hearty complement of ports available. However, the mesmerising keyboard and slick glass trackpad mean that using just the laptop itself is also a totally viable choice. The Aorus X7 DT v6 is the best gaming laptop we’ve ever tested. Its high price tag puts it beyond the reach of most gamers, but it does well to justify it with excellent gaming performance on par with many desktops, a beautiful metal design and a best-in-class screen that is both high resolution and fluid. If you have the dosh, the X7 DT is where it’s at. Thanks for a good review. What about the striping issues that seem to plague the QHD 120 hz panel that Aours (and others) use for their laptops? Have an Alienware 17 R4 right now “on trial” which has the QHD 120 hz and I can see the problems miles away. I’m afraid I don’t have the laptop any more, but I didn’t notice this issue on my review unit. Will they replace affected units? Have you got the most recent video drivers installed? Does this issue affect every unit? I honestly did spend some time looking at the screen and didn’t notice it — sorry! Great review! Thanks. There’s a slight blunder though. You forgot to add the laptop you’re reviewing that is the x7 DT v6 in the CrystalDiskMark Read comparison chart. The speeds were great though you mentioned it below the chart so doesn’t make much of a difference. I’m looking forward to buying the new X7 DT V7 so hopefully you’ll get your hands on it and give us a similarly great review soon and tell us whether the screen issue has gone or not. Thanks again. Fixed! Thanks for letting me know Veronica.